Although often discussed together, theft and burglary crimes are two very different types of crimes in Nevada. Nevada defines the crime of theft as the unlawful taking of property which belongs to another, without the other’s consent, and with the intent to deprive the other permanently of his or her property. To further classify thefts, Nevada law specifies several crimes which are derivatives of theft but which contain unique elements specific to the circumstances at hand. For example, shoplifting is a crime of theft committed against a merchant, carjacking is the theft of an automobile from its driver by force, grand larceny-auto is the theft of an automobile that is unattended or when no force or intimidation is used against the vehicle’s owner, fraud is theft by false pretenses, and embezzlement is a crime of theft facilitated by taking advantage of a position of trust. The crime of larceny, another derivative of theft, is reserved for general instances of theft because charges can be brought based on the value of the property taken when a more specific offense would not apply to the facts. A person who commits a theft of property valued under $650 faces misdemeanor petty larceny, while a person who commits a theft of property valued at $650 or more faces felony grand larceny charges. When you steal a car and you intend to keep, sell, or destroy it, the charge is grand larceny of a motor vehicle. If you take a car without the owner’s consent but with no intention to deprive the owner of the vehicle permanently, the charge is joyriding. If you are convicted of grand larceny of a motor vehicle in Nevada, the penalty will depend on the value of the stolen vehicle. If the stolen vehicle is valued at less than $3,500, the crime is prosecuted as a Category C felony, and a conviction is punishable by one-to-five years in a Nevada state prison, a fine of not more than $10,000, and restitution if necessary. If the stolen vehicle is valued at $3,500 or more, the crime is prosecuted as a Category B felony, and a conviction is punishable by one-to-ten years in a state prison, a fine of not more than $10,000, and restitution if necessary. Joyriding is a gross misdemeanor in Nevada, and a conviction is punishable by up to a year in jail, a fine of up to $2,000, or both. An experienced Las Vegas theft lawyer will be able to develop a sound defense strategy for you depending on the circumstances of your case. A lawyer can argue that there is a lack of intent, meaning you did not mean to take the property or you did not mean to keep it. Another possible defense is that there was nothing stolen. A lawyer may also be able to argue that the property in question was actually given to you or it already belonged to you, so you did not commit theft. If you are facing theft charges, it’s imperative that you speak to an experienced Nevada theft lawyer as soon as possible. The quicker that an attorney can begin working on your case, the more favorable the outcome may be. Burglary, on the other hand, requires a prosecutor to show that the suspect entered any home, vehicle, structure, business, aircraft, plane, boat or railcar intent therein on committing a felony, larceny / grand larceny, assault or battery, or for the purpose of obtaining the property of another, which includes money, by false pretenses. Every element of this offense must be proven beyond a reasonable doubt or the prosecutor has failed to substantiate the charges and the suspect may be acquitted and released from custody. Interestingly, a person may still be charged in Nevada for burglary if the person enters a dwelling with the intent to commit one of the mentioned offenses but does not follow through with the intent. In Nevada criminal law, breaking and entering is generally considered to be evidence of criminal intent unless the defense can offer reasonably satisfactory evidence that the entry was made lacking criminal intent. The fact that the intent was present when the suspect entered the dwelling or structure, whether or not any further crime was actually committed within the dwelling, could allow for successful prosecution of burglary charges. Burglary is a Class B felony in Nevada punishable by imprisonment from one to ten years and up to a $10,000 fine. If a deadly weapon is used in the commission of a burglary, the potential prison time is then between two to fifteen years. 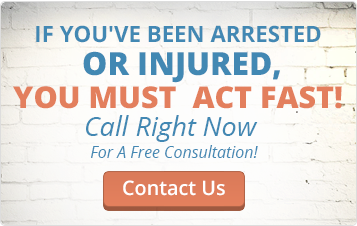 Nevada treats burglary as a serious crime, and if you’re accused of it anywhere in or near Las Vegas, you’re going to need the legal advice and representation that only an experienced Las Vegas criminal defense attorney can offer. If you – or a member of your family – are accused of burglary or any kind of theft in Las Vegas, make the call as soon as possible. Convincing a judge or jury that the prosecution has failed to present a valid case in support of theft and/or burglary charges won’t always be easy, but it can be done. Along with failing to have the legal knowledge necessary to craft a viable defense, most people who are suspected of criminal offenses will be too intimidated by the environment of the courtroom to address all of the issues which may be important to their defenses. An experienced burglary and theft attorney should be retained in these types of matters so that suspects don’t have to face charges on their own. The Fletcher Firm, a full service law firm, has attorneys on staff who can help theft and burglary suspects face their charges and work toward as favorable a legal outcome as possible. The advice that attorneys like the ones with the Fletcher Firm can offer may mean the difference between a suspect being handed down the harshest of penalties and more lenient penalties, if not an acquittal.